You know, not to pick on this anthology unfairly or anything, but it seems kind of silly to me to number anthologies until you put a second issue out. If that happens, fine, the first one is automatically assumed to be #1, no big deal. How’s that for an utterly insignificant mini-rant? Anyway, this one isn’t bad, but it’s not great either. 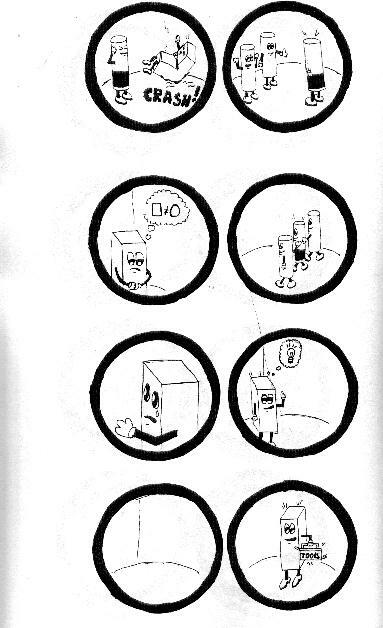 There are comics from Amy Allen and Samuel Kienbaum (I’m mentioning them because they’re already on the page and I like their work), and a really great one about friends drifting apart from Thien Pham. Other than that it was a mish-mash, ranging from good to not-so-good. Parts of it were worth a look, if nothing else to see Amy Allen do a comic that wasn’t about Zecord, and it looks good, with a full color section in the middle. Here’s a list of the rest of the contributors: Michael Allen, Tim Goodyear, Ian Ameling, Katherine Wien, Carlos Baltodano, Lou, T.J. Winslow & Nikolita, John Orloff, and Mark Thompson. It’s $3, send an e-mail to order. Posted on May 2, 2010, in Reviews and tagged Amy Allen, Carlos Baltodano, Garish Zow, Ian Ameling, John Orloff, Katherine Wien, Mark Thompson, Michael Allen, Sam Kienbaum, T.J. Winslow, Tim Goodyear. Bookmark the permalink. 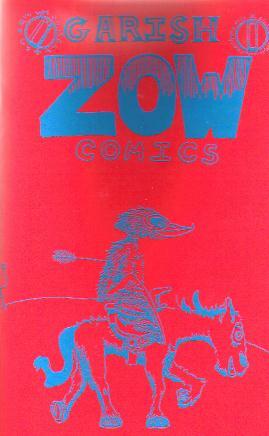 Comments Off on Various Anthologies – Garish Zow Comics #1.